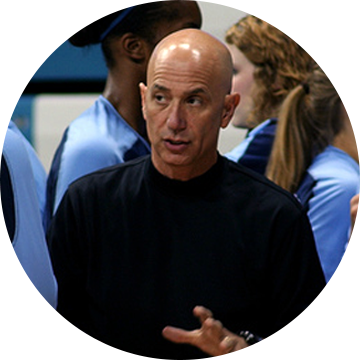 One of the most successful coaches in college volleyball today, reigning ACC Coach of the Year Joe Sagula is in his 25th season at Carolina and 34th year overall. The winningest coach in North Carolina volleyball history, Sagula has been at the helm for six of UNC’s ACC crowns and 11 of its 16 NCAA tournament appearances. The Tar Heels have gone 527-295 since Sagula joined the program in 1990, an incredible winning percentage of 63 percent. Sagula has achieved this success after coming to Chapel Hill from the University of Pennsylvania, where he compiled a 203-123 record in nine seasons. Sagula notched his 700th career win during the 2013 season with an exciting 3-2 extra-points win over Maryland on Nov. 24 and now holds a career mark of 730-418 in 33 years on the court. Carolina has won more ACC titles - 12 - than any other volleyball program. Sagula has the most ACC wins of any coach in history with 273, and his six ACC titles rank second among ACC coaches. On Sept. 16, 2012, Sagula was inducted into the New Paltz Athletics Hall of Fame at his alma mater, the State University of New York at New Paltz. Sagula, a 1978 graduate of New Paltz, was one of four individuals in the 2012 Hall of Fame class, in addition to three teams that were honored by New Paltz. Sagula's first introduction to volleyball was at New Paltz, where he was a three-year letterwinner and captain during his senior year. Sagula and the Tar Heels completed a season for the ages with their 2014 campaign, compiling a 29-3 record and a perfect 16-0 record at home en route to the most wins since the 2002 squad. North Carolina earned a series of new program highs during the incredible season, including a No. 7 AVCA Coaches Poll ranking, a No. 5 NCAA RPI ranking and a No. 7 seed in the NCAA tournament. UNC also peeled off a record 20-straight victories, the longest streak in program history. The season ended for the Tar Heels in the NCAA Regional Finals in Minneapolis, the first time the program had ever reached the Regional Final in Carolina volleyball history. Chaniel Nelson was named First Team All-ACC and an AVCA Second Team All-American, just the second Tar Heel to earn AVCA All-America honors, while Victoria McPherson, Paige Neuenfeldt and Ece Taner all earned All-ACC, AVCA All-Region and Honorable Mention All-America nods. Taner was also named the ACC Defensive Player Player of the Year while Sagula was named the ACC Coach of the Year. The Tar Heels started off a record-setting 2013 campaign with a 15-0 win streak while recording the team’s best season start in program history. Carolina finished the season 27-5, tallying the most wins in a season since 2002, and grabbed a No. 25 final AVCA ranking for the first time since 2002. UNC was ranked in the top 25 in each of the season’s weekly AVCA Coaches Polls and peaked at No. 10 on Oct. 6 for the program’s highest-ever ranking. Jovana Bjelica and Paige Neuenfeldt led the team with AVCA All-America Honorable Mentions and AVCA All-Region nods, while Bjelica, Neuenfeldt and Victoria McPherson were named All-ACC and Abigail Curry was named to the ACC All-Freshman squad. In 2012, Sagula led the Tar Heels to an undefeated home record (15-0) and the school’s 14th NCAA appearance. The 2012 squad finished 26-6 earned two AVCA All-America honorable mentions (Emily McGee, Paige Neuenfeldt), in addition to two All-ACC players (McGee, Chaniel Nelson), the ACC Freshman of the Year (Neuenfeldt), two AVCA All-East Region selections (McGee, Neuenfeldt) and the AVCA East Region Freshman of the Year (Neuenfeldt). Sagula captured his 600th career win on Aug. 28, 2010, and his 400th career victory at Carolina on Sept. 11, 2010, at North Carolina. The Bronx, N.Y., native is the 17th coach in NCAA Division I history to compile 600 career victories. In conjunction with nearly 70 percent of his career victories coming at North Carolina, the veteran coach became the first coach in ACC history to ever earn 200 league wins Oct. 6, 2010, at Wake Forest. Along with the six ACC titles, Sagula has guided the Tar Heels to 12 top-three finishes in the league’s regular-season standings, including first-place finishes in 1998, 2000, 2002, 2005, 2008 and 2014. In 14 seasons, Sagula led the Tar Heels to six appearances in the ACC championship match and 10 appearances in the ACC Tournament semifinals. The ACC discontinued the conference tournament in 2004, the Tar Heels’ last appearance in the championship match. Sagula has also coached five ACC Players of the Year - Amy Peistrup in 1992, Erin Berg in 1998, Laura Greene in 2002, Dani Nyenhuis in 2005, Kaylie Gibson (Defensive POY) in 2010 and Ece Taner (Defensive POY) in 2014, and back-to-back ACC Freshmen of the Year in Cameron Van Noy (2011) and Paige Neuenfeldt (2012). The 2002 Tar Heels won 30 matches (32-4 overall) for the first time since 1985 en route to the program’s first appearance in an NCAA Tournament regional semifinal. They also took the ACC regular season championship with a 15-1 conference record that year. One of the most successful seasons in the history of the program concluded with Sagula garnering conference and regional coach of the year honors. During Sagula’s tenure at Penn, the Quakers won Ivy League titles in 1983, 1986 and 1989. Sagula was also named the Ivy League Coach of the Year four consecutive seasons. In addition to his duties with the women’s team at Penn, Sagula served as the head men’s coach from 1981-89. His record with the men, which competed at both the varsity and club levels, was 111-75 (.597). At the December 2002 meetings of the American Volleyball Coaches Association in New Orleans, Sagula was elected president of the AVCA from January 2004 to December 2006. 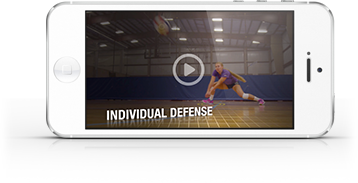 He served on the AVCA Board of Directors for a total of ten years in the various positions as president, president elect, past president, and chair of the Division I All-America Committee. Sagula chaired the NCAA Division I All-America Committee for four years while at Penn and served ten years on the AVCA Board of Directors as the Awards Chairman and President. A native of The Bronx, N.Y., Sagula earned his bachelor’s degree in Fine Arts, Art Education, and Coaching from the State University of New York, College at New Paltz in 1978. While there he earned three letters in volleyball, where he competed as a setter and served as a captain when he was a senior. During the summer of 1990, Sagula served as an assistant coach for the USA National Women’s Volleyball B Team, which trained in Walnut Creek, Calif. Twice he has coached at the United States Olympic Festival - in 1987 in Chapel Hill as an assistant and in 1989 in Oklahoma City as a head coach. In both cases, his teams took home silver medals. Sagula married the former Ingrid Weber in May of 2008 and they live in Chapel Hill with their three dogs: Oscar, Lucy, and Cate.